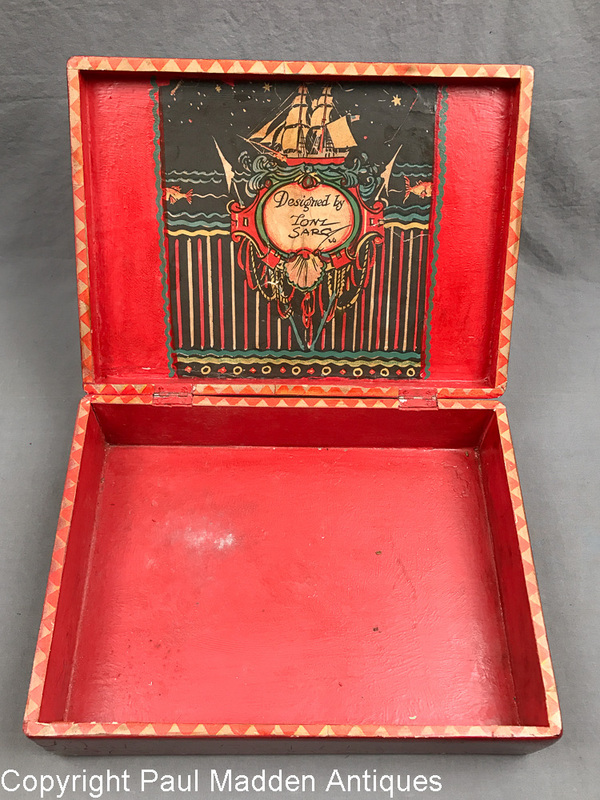 Antique decorated hinged box by Nantucket artist Tony Sarg dated 1920. 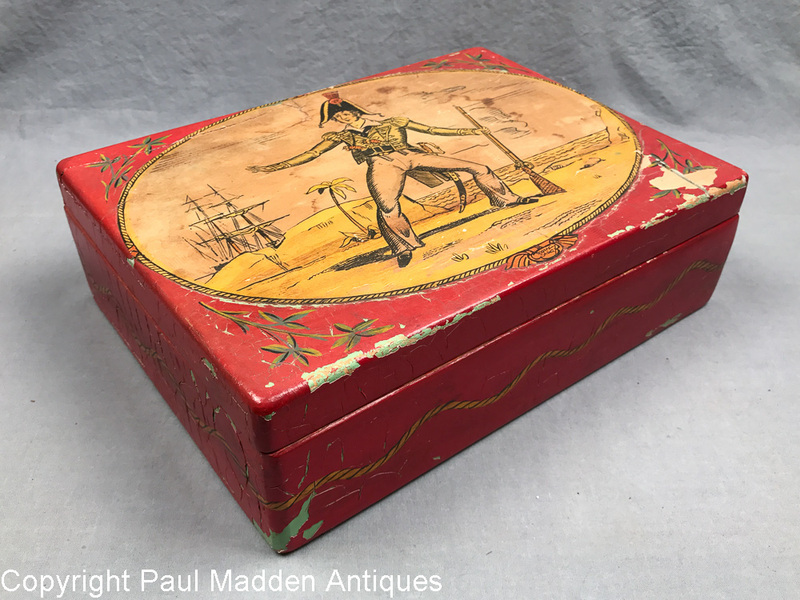 Pirate scene on top with elaborate signature and date label on inside lid. 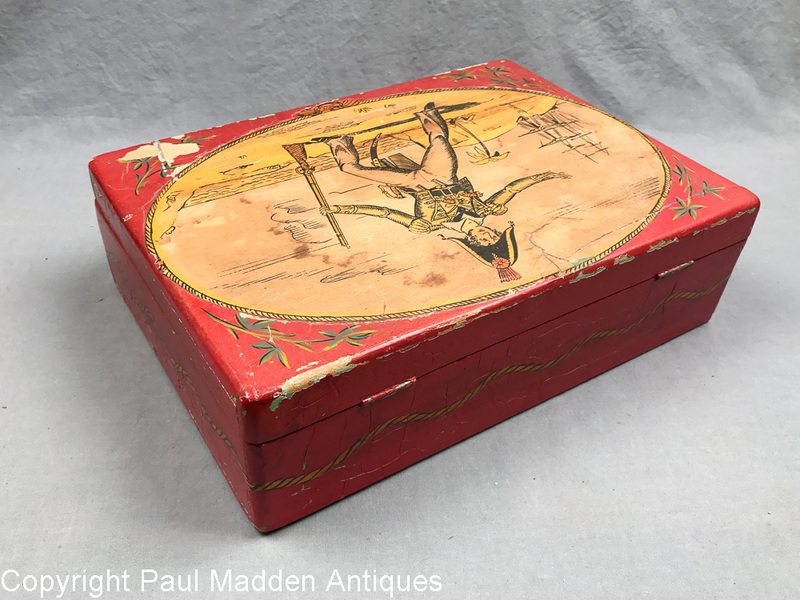 Good original condition with a few scattered paint losses on outside front/top of box. 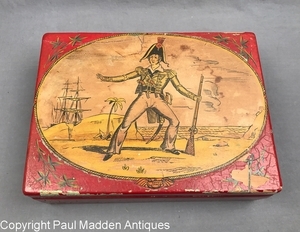 Measures 11-1/2" by 8-1/2" by 3-1/2".